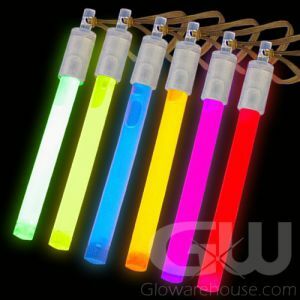 - 6" Glow Sticks in a Brilliant 24 piece Bulk Pack! - Optional Lanyard Strings are Included! - Great for Festivals, Pool Parties, Dances and Crafts! 6" Glow Sticks are the most popular size and style of glow sticks available on the market! 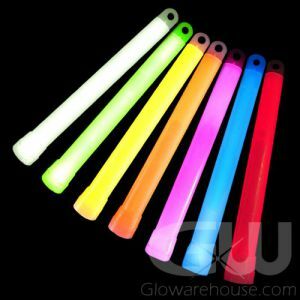 The Assorted Color 6" Glow Stick Pack comes with 24 glow sticks in all of your favorite colors! Each 24 pack has 4 pcs each of Green, Blue, Yellow, Orange, Red and Pink Light Sticks. 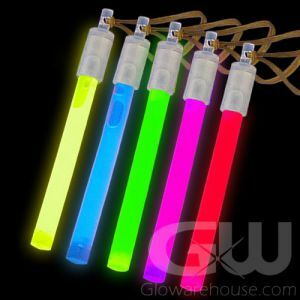 Each Assorted Color 6" Glow Stick comes with an included lanyard string for hanging or looping your around your wrist or to hang as glow party decorations! 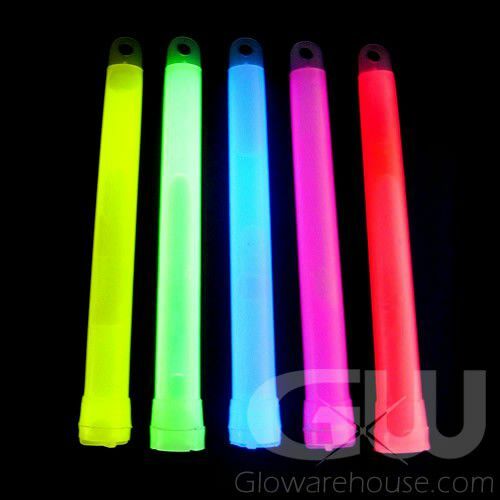 Standard size glow sticks are used for everything from glow stick dancing (glowsticking) to night sport and glow golf markers. Use the 6" glow sticks for Trick or Treating at Halloween or as Night Golf markers to highlight hazards, tees, fairways and pins. Whatever your purpose, 6" Assorted Color Glow Sticks have a multitude of uses and are the best non sparking, non heat producing, waterproof light source around. To activate, just bend the light stick enough to break the inner capsule. Shake to mix and start the glow! Optional lanyard is included.